Beelineweb.com | Official Blog: We Are off to California! 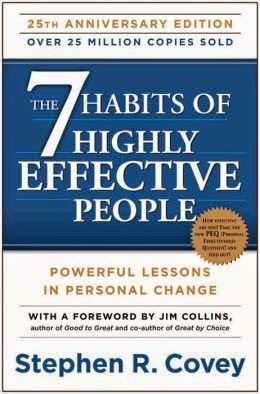 Our whole team is trading the cold Okanagan snow for some California sunshine on Thursday, December 4th, to take FranklinCovey’s The 7 Habits of Highly Effective People Signature Edition 4.0 workshop! (And for some fun in the sun/Disneyland adventures!) Our office will be closed from December 4th through December 8th, and will reopen on December 9th with a refreshed team that’s ready to apply our new training and habits. The workshop is based on Steven R. Covey's The 7 Habits of Highly Effective People, which is a best-selling business book that focusses on empowering individuals with habits to help them become highly effective people. A team of highly effective people equals a highly effective organization, which is our goal in attending. It is meant to help individuals take initiative, respond proactively, clearly define values and goals, set priorities, eliminate time wasters, use productive time management, build relationships/teams, use collaboration, work on effective communication, collaborate for decision making and achieve personal life balance, among many other things that can be viewed here. We are all extremely excited for not only the workshop and bettering ourselves and our organization, but we are excited for some warmer weather and some team bonding in Disneyland, Universal Studios, Huntington Beach, etc. Thanks for your patience during our office closure and please stay tuned to hear how it goes!